Rosie Belle Farm is located on 65 acres tucked in the rolling hills of beautiful Middle Tennessee. The farm house and outbuildings were constructed in 1894 and the Farmer and his Wife continue to live in much the same way as the original inhabitants...heating with wood and cooling off on the front porch at the end of a hot Summer Day. The Farmers consider themselves stewards of the land and the animals inhabiting it. 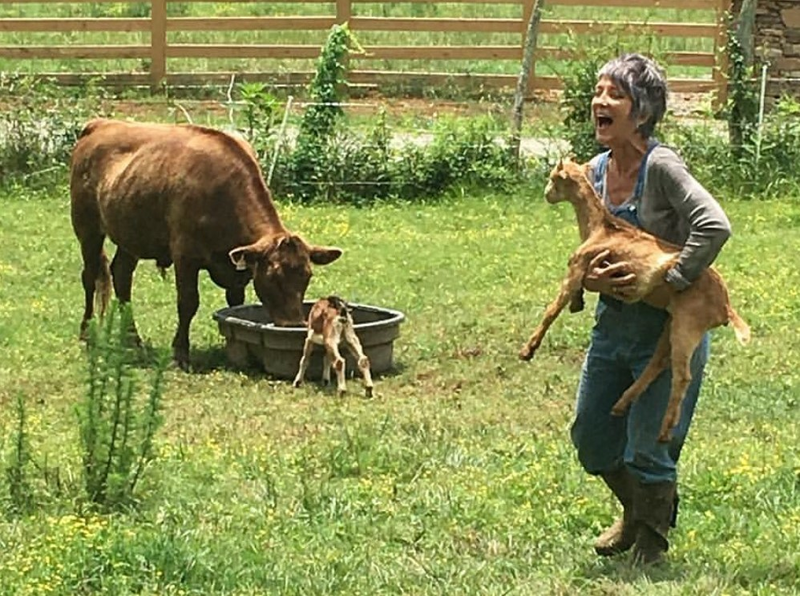 The Farm is home to dairy goats, heritage hogs, sheep, cows, meat hens, laying hens, ducks, eleven rescue dogs, a rescue horse, fruit trees and seasonal gardens. The Farmer believes in the importance of farming naturally, using true input-free, organic methods to produce food the way Nature intended. The animals roam the farm together peaceably...sheep and goats frolic alongside chickens and dogs and pigs and cows. There was a time, not so long ago, when folks knew their local farmer, ate the best of what was seasonably available, and enjoyed a variety of natural, chemical-free fruits, vegetables, meat eggs, and milk. That Time is NOW at Rosie Belle Farm. Ethical Food Tastes Better.